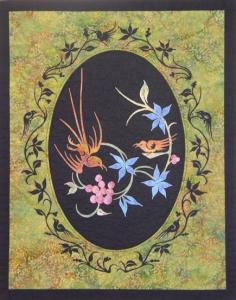 This is a fusible applique wall hanging made on a black fabric background to produce a stained glass look. Once the appliques are fused in place with the iron we simply raw edge machine free motion around their edges to keep in place. Some extra free motion quilting in the picture is optional. This is a typical Hawaiian Bay scene with outrigger canoe. If you wish to remember your Hawaiian vacation, this is for you. SIZE 15″ Wide, 13″ High, 5″ Deep. 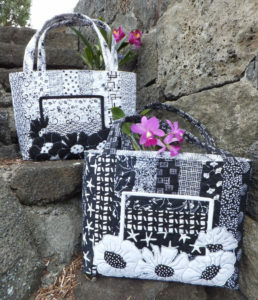 The predominantly black fabric bag has white binding and white flowers with black centers and the predominantly white fabric bag has black binding and black flowers with white centers. I have included the different flower templates in the pattern but you could choose to find flowers in fabric that you wish to applique instead. This tote bag is fun and easy to make and makes a great change from making quilts and will ‘WOW’ your friends when they see it on your shoulder. 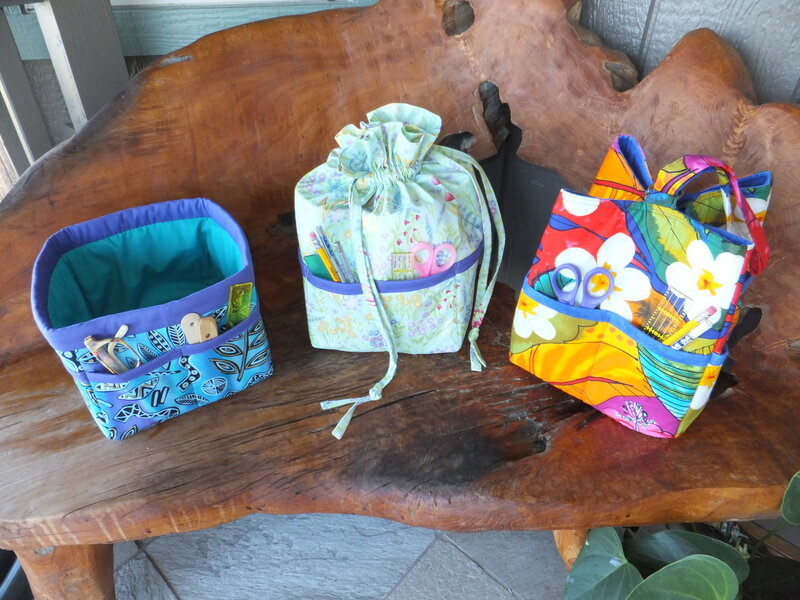 These bags make great gifts for special people! Size – 15″ Wide 13″ High 5″ deep. This tote bag is made with 11 jelly roll strips for the bag outside and the two quilted pockets. Raw edge fusible appliques around the bottom of the front pocket makes it so attractive and eye catching. Two additional inside pockets make it very functional. 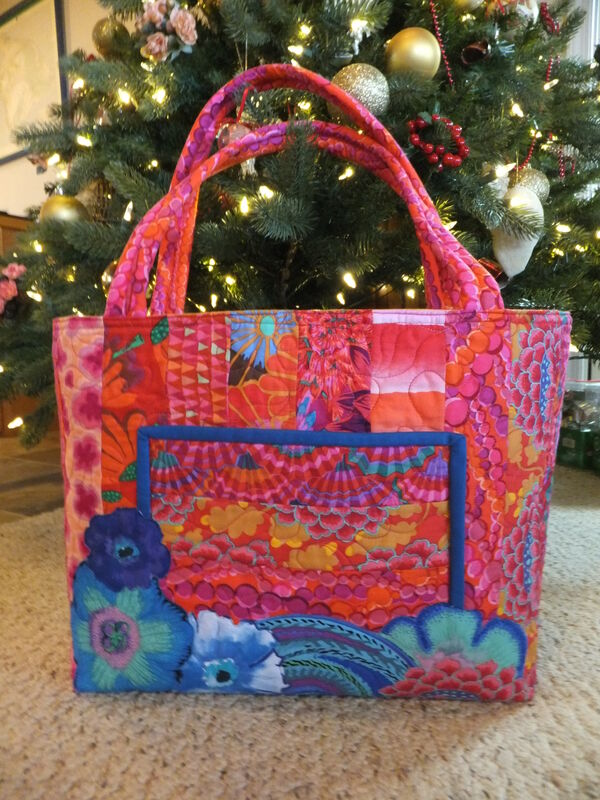 The three top tote bags are made with Kaffe Fassett fabrics and appliques and are so bright and cheerful. Watch out-They are addictive and make great gifts! 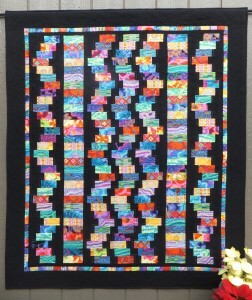 This is a strip pieced quilt, made with wedge shaped strips made from graduating fabrics. 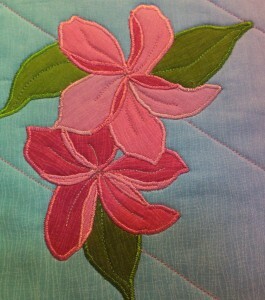 I made it with the Gelato Ombre fabric line by E E Schenck. 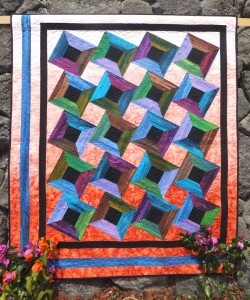 The blocks are 10″ finished and there are 4 different block patterns to choose from. 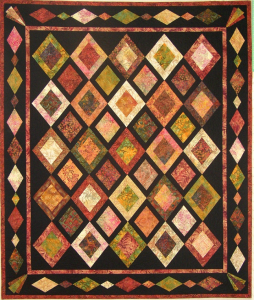 Use only two of the block patterns or all four to make this visually striking quilt. SIZE – Width 15″ Height 13″ Deep 5″. 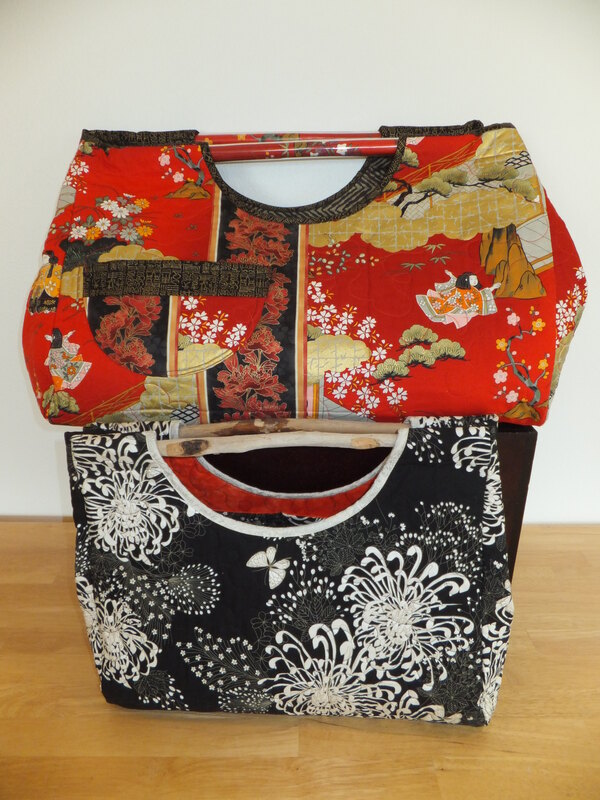 This is a version of the two tote bags above but instead of using 11 jelly rolls we simply use fabric yardage for the outside of the bag. This allows us to tailor our bag to our preferences. Example. 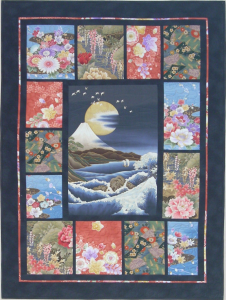 Oriental fabrics with Coy fish or Cranes around the pocket and on the back for the pizazz. I have used Hawaiian fabric flowers for one bags applique pizazz. You will be so pleased with this bag you will want to make more of them so it is a great stash burner. 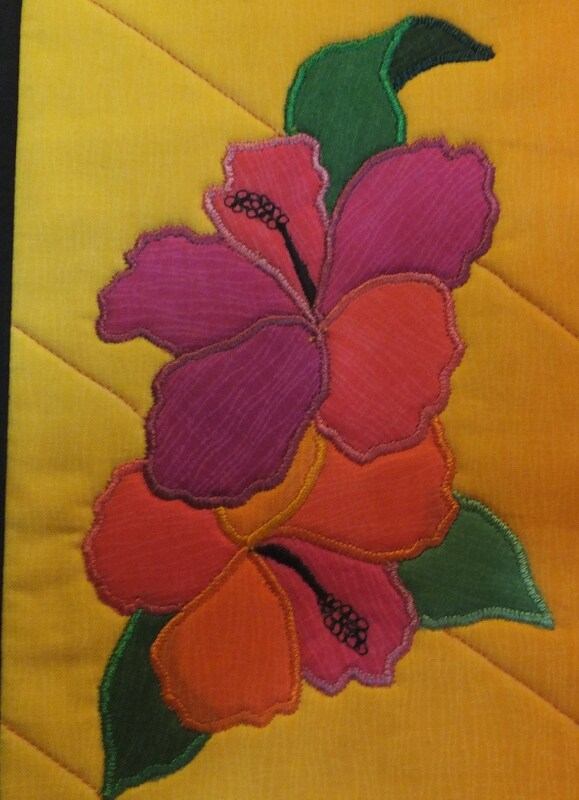 This quilt was made with only ONE graduating fabric from the Gelato line by Elite and so all the shades co-ordinate. The centers of all the diamonds are made from one piece of fabric that you make. Strips are then added to two sides of each diamond, in log cabin fashion until you reach the size needed. I think there is a lot of depth and interest in each block and ALL are different. 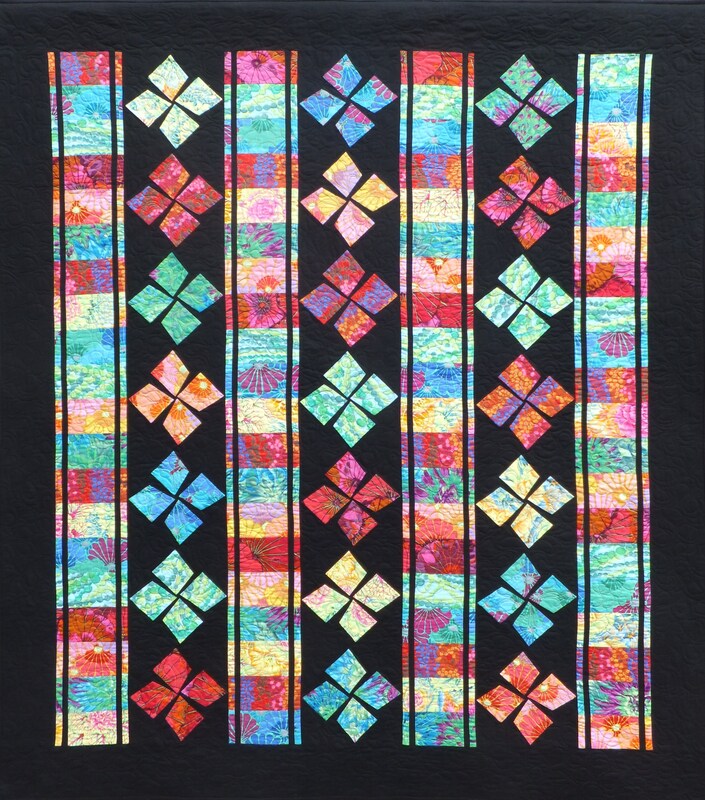 We use two thin strips of the fabric side by side to form the colored border which changes shades and shines as it goes around the quilt. I also like the quilt turned on it’s side ! What do you think? These were made to highlight the beautiful gradations in the Gelato fabrics by Elite. The appliques on each placemat are made from the same fabric as the placemat so that the colors always coordinate. 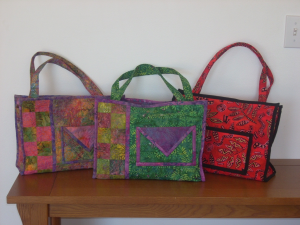 You can make a set with all different fabrics as is on the front cover or simply choose one fabric for a set. put on the table and makes a nice change from a quilt to showcase our skills. I used six different graduating fabrics from the Gelato line by Elite. 6 1/2″ x 18 1/2″ blocks. All these of course fit together easily to produce a random woven look. shades beautifully as it goes around the quilt. 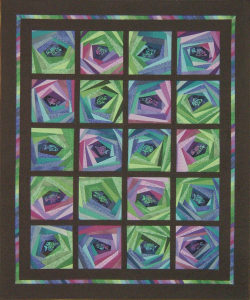 The batiks in this quilt run through four colors that are adjacent to each other on the color wheel. Mine were purple to red to orange to yellow. 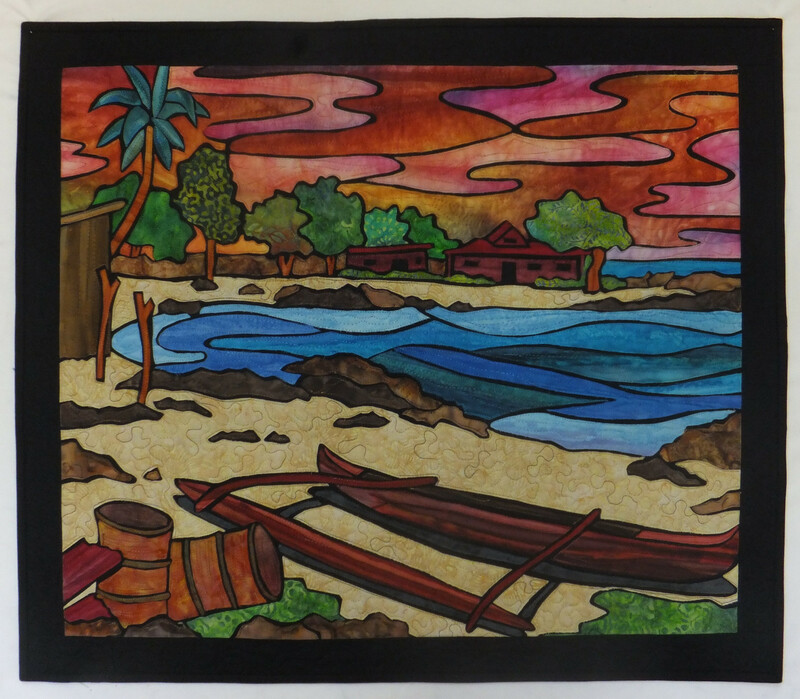 We simply strip piece the batiks and background fabric in different widths. We then make ‘gentle curved cuts vertically to allow us to move some of the strips up and some down to produce interest. This is the second in this series, using the smaller ‘rough’ diamonds as in ‘Square Dance’ and adding larger rough diamonds. 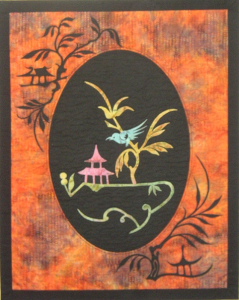 I used Kaffe fabrics but have seen it in batiks and also black, white and grey with my students. They all looked superb! We start with three 3 1/2″ strips in seven different fabrics. We make the ‘rough’ diamonds and put into blocks and then simply strip piece the rest of the fabric to produce the columns. I made this quilt with Kaffe fabrics https://herenapotheek.nl/. 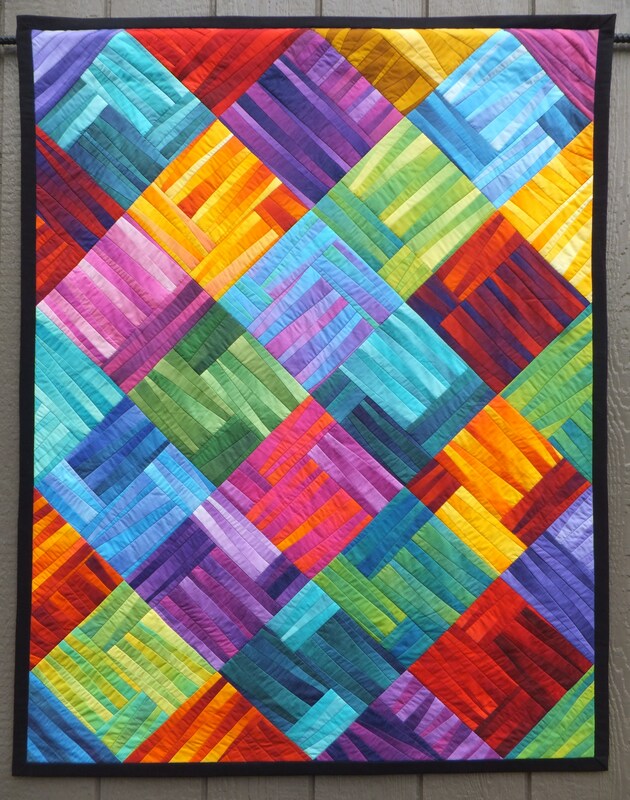 The third quilt in this series with a different lay out, made with thirty 2 1/2″ strips. I think the vertical pattern in this series makes a pleasant change from the ‘block’ format https://farmaciamaschile.it/. 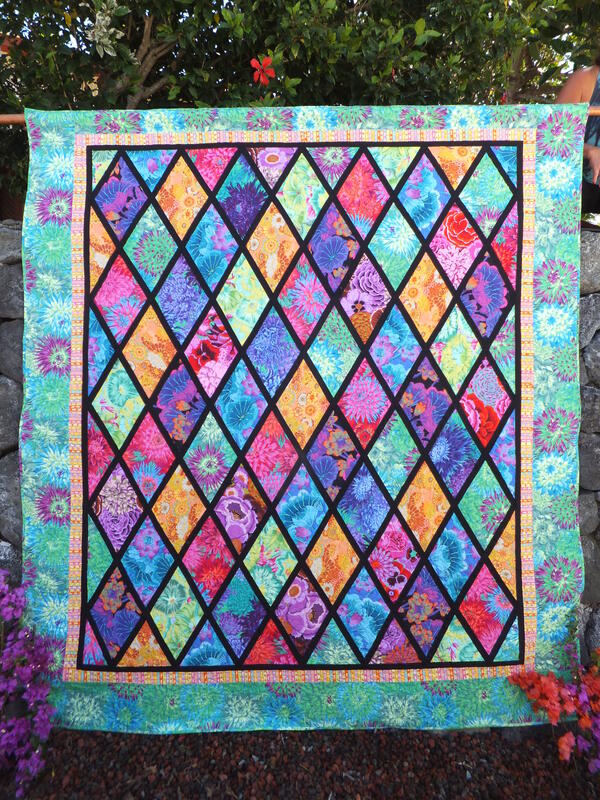 Choose six different Fassett fabrics to make this stunning small version of the Fassett Queen Flurry (237). 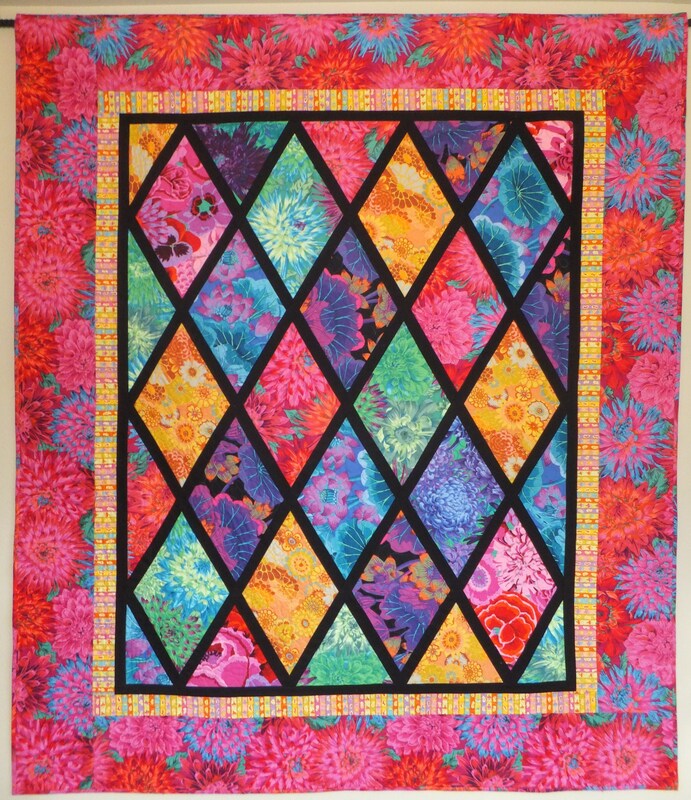 Choose eight different Fassett fabrics from light to darker and have an absolutely eye catching quilt. Once you have cut all your diamonds and distributed the colors evenly, the diamonds and short black sashing strips are sewn into diagonal rows. The free motion meander quilting can be made easy by tackling the individual diamonds only, e.g., sew all the purple diamonds first with purple thread, then sew all the red individual pieces with red thread, etc. Three projects from one basic pattern. All have square bottoms with pockets all the way around to hold your eye glasses, scissors, etc. A novel star top for one of the bags and the caddy is just open for easy access and to simply transport your project from place to place. There are only three 8 1/2″ squares to cut but its fun placing the 8 1/2″ square ruler to allow a bird/fish/flower to fall or grow out of the block. We simply fuse the extra pieces in place after the quilt top is pieced and then raw edge machine stitch in place when we quilt. 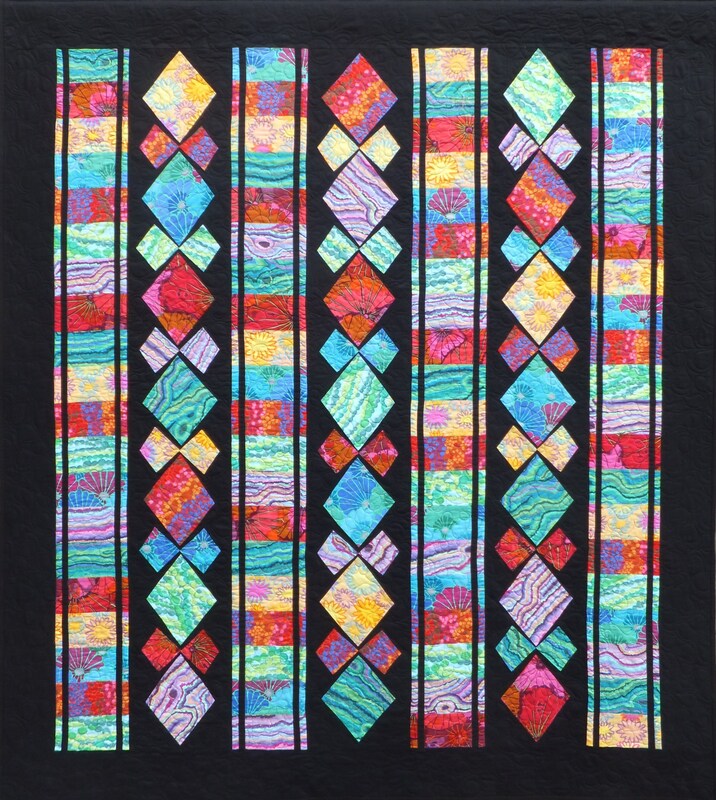 These blocks are made with “stripey” batiks. 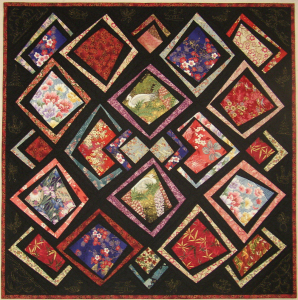 The 8″ blocks are easy to make with no set in seams. To piece, we simply sew partial seams. 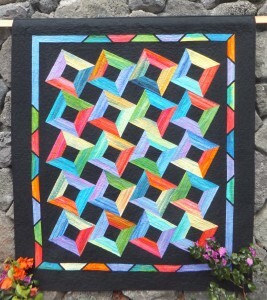 The colored border reflects the block piece shape to finish the quilt. The 8″ blocks are easy to make. There are no set in seams – we simply sew partial seams to sew the rows together. The variegated fabric for the background gives it more appeal. 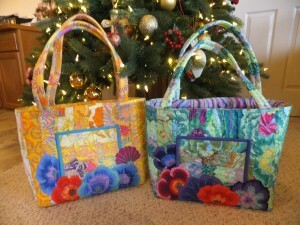 Both sized bags are pieced first, then sandwiched and quilted. We then make the bags (flat-bottomed) and insert a dowel rod, driftwood, or bamboo handles to complete. 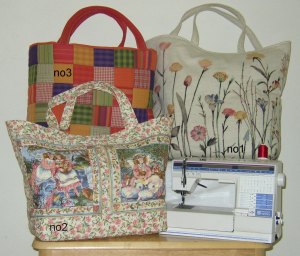 A great project for left over fabrics or if you wish to practice your free motion quilting on a practice piece and turn into a bag! The larger bag is big enough to hold two quilts for our guild’s show and tell. The last in the series of three! 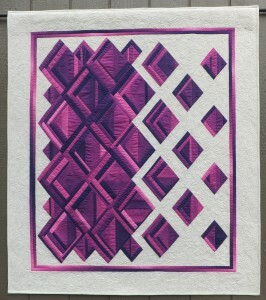 I was still playing with four patches made from 3 1/2″ squares and found this layout very pleasing. It uses three kinds or parts of four patch blocks in this unusual setting. 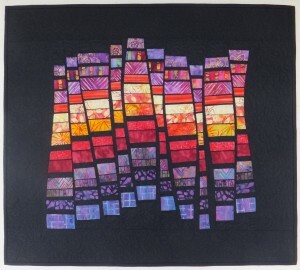 The second in a series of three quilts! 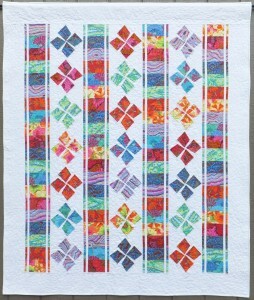 All the blocks are still simple four patches made from 3 1/2″ strips or squares. The background is a little large and the layout more interesting but the eight diagonally set blocks are still simply machine blanket stitchd in place! The first in a series of three quilts! 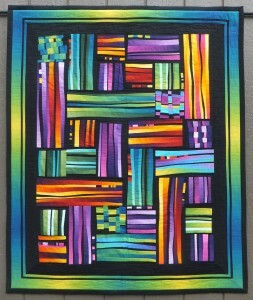 All the blocks are simple four patch blocks made from 3 1/2″ strips or squares. 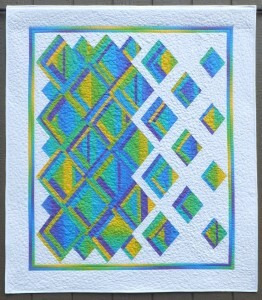 The eight blocks on the diagonal are simply superimposed on the background and borders. How easy is that! 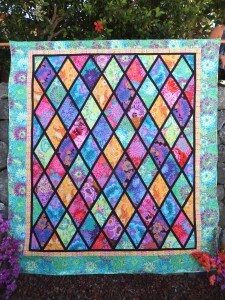 This is an ideal quilt for the beginner or someone who wishes to complete a large bed quilt in record time. Choose your fabrics to match your décor. The fabrics are cut into 41/2′ strips and then sub-cut and sewn right into rows without having to match seams. These bands of patterns are taken from the Seminole Indian patterns used in their clothing and blankets. 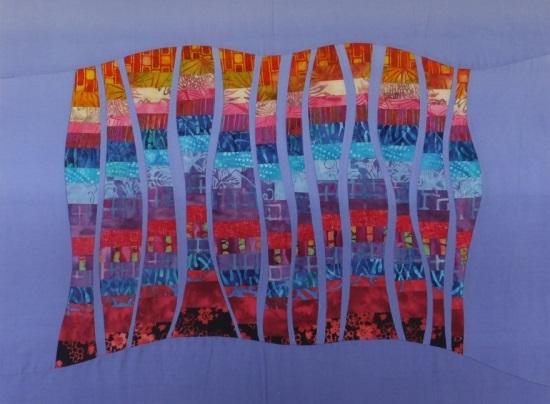 These bands are made independently of each other and then arranged horizontally across the quilt as desired and joined together. 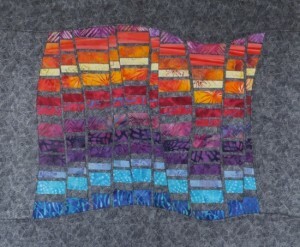 A nice change from sewing blocks and quite sensational and different. This quilt is made up of 20 “crazy” strip pieced blocks. 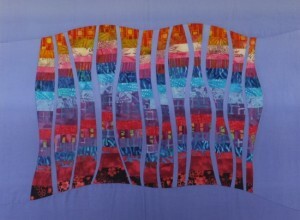 The strips are built up around a focus fabric – mine happened to be fishes! You can choose animals, flowers or whatever takes your fancy! Detailed instructions take you through the 1st block and then you are hooked with the method and how dramatic the block looks.The striped border is initially “strip pieced” so is a breeze to make. Pattern and supply list for Puppy Dog comforter is on the cover but it includes Teddy Bear appliqué pattern as well. 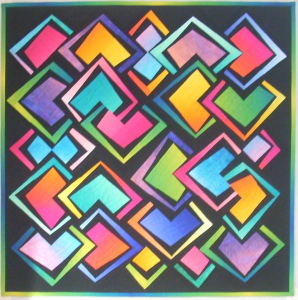 The background squares for this quilt use the stack, cut, shuffle and sew technique. Easy, quick and addictive. 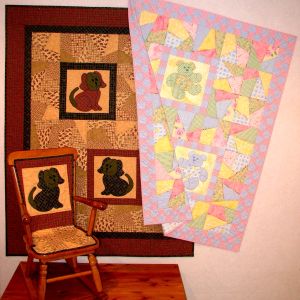 The Puppy dogs or Teddy Bear pieces are ‘interfaced’ – turned inside out and appliquéd on with a blanket stitch. A lovely nursery crib quilt or wall hanging. The seams in each block in the pink quilt seemed good candidates for all the fancy stitches on my sewing machine with decorative embroidery thread.I had fun with that and eliminated the need for quilting the blocks! 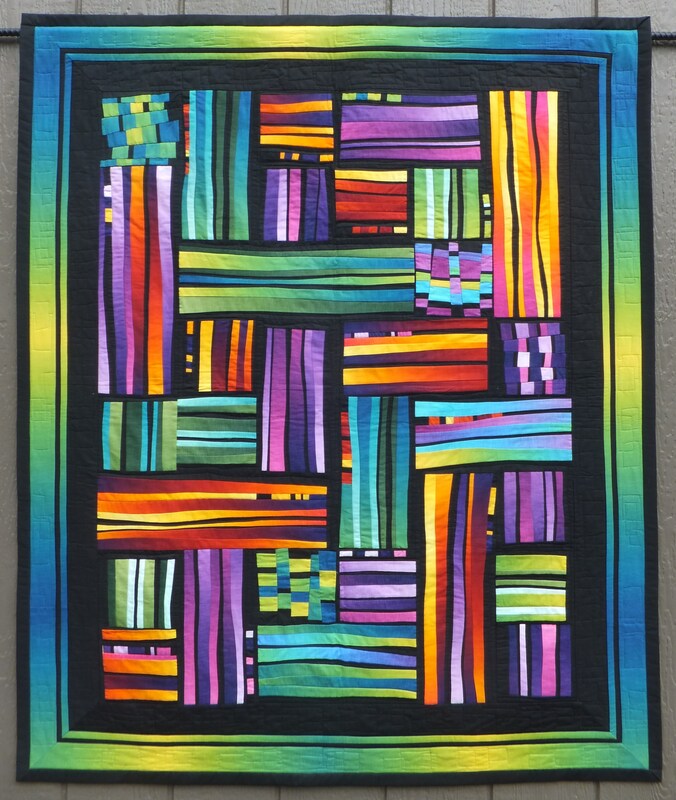 This is an eye catching quilt. The blocks are simple four patches made with ‘jewel colored’ marbled batiks and set in a black border surrounded by a ‘ free’ folded border and then set on point turk-eczanesi.com. 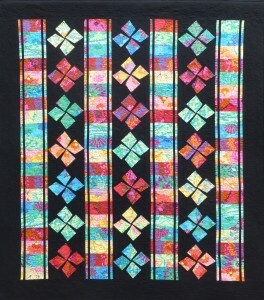 Black sashing and set in triangles give the illusion of floating ‘jewel tone’ blocks. 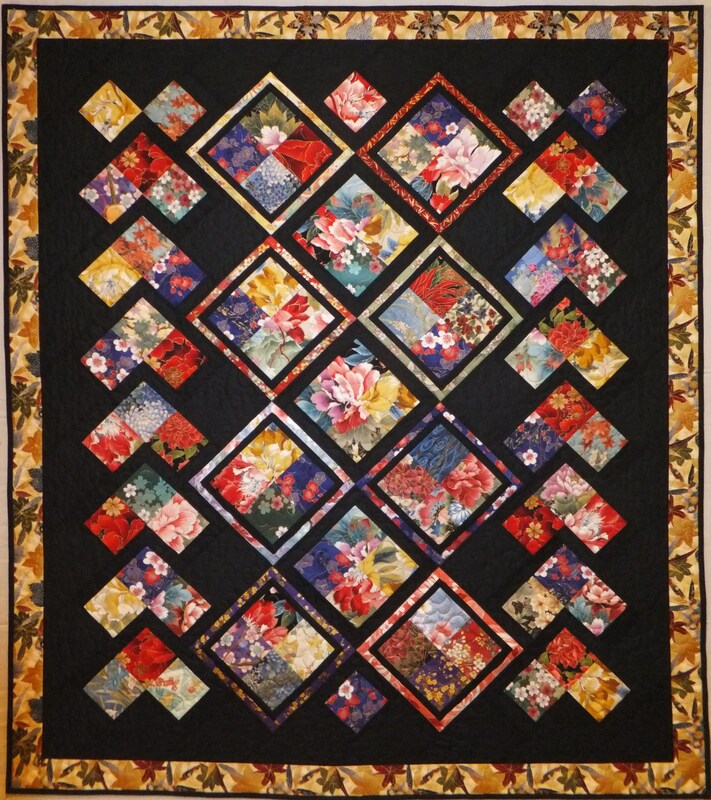 The black setting triangles around the perimeter has a beautiful but simple floral quilting design that is included in the pattern with the easy, no marking golden threads quilting paper method of transferring it to the quilt. Want to work with stunning Asian fabrics? 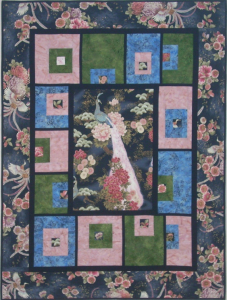 This quilt uses both small and large print Asian Fabrics in different colors. 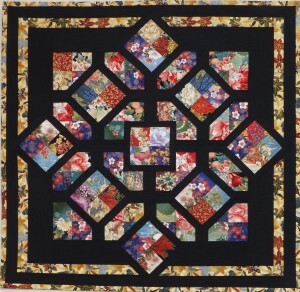 The blocks are simple 4-patches set in a black border and surrounded by “free” folded border and set on point. 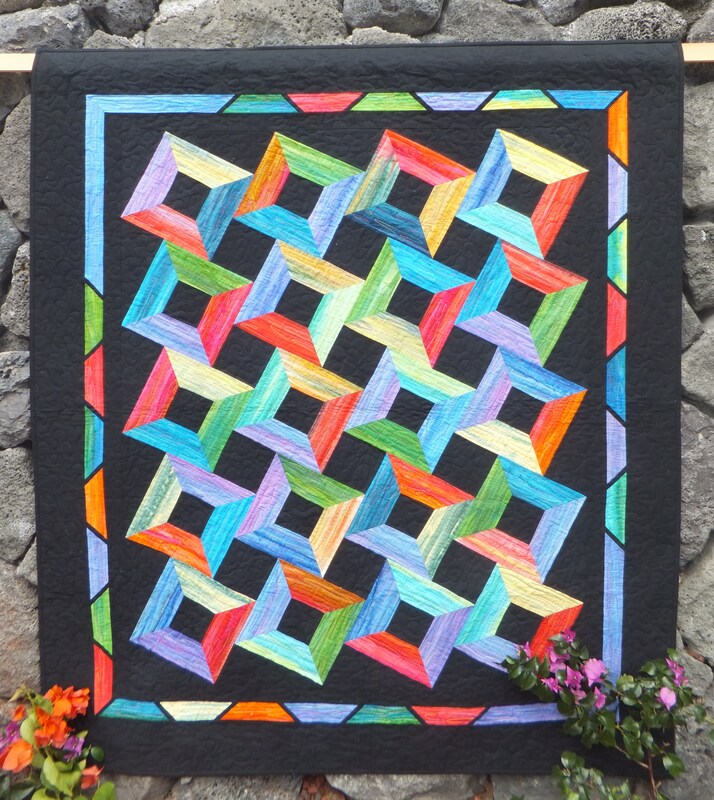 Black sashing and setting triangles gives the illusion of “floating” blocks . 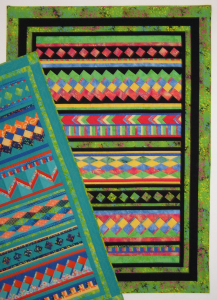 The machine quilting patterns in the outside setting triangles are provided in the pattern and are made super easy to transfer to the quilt with the use of golden threads quilting paper. 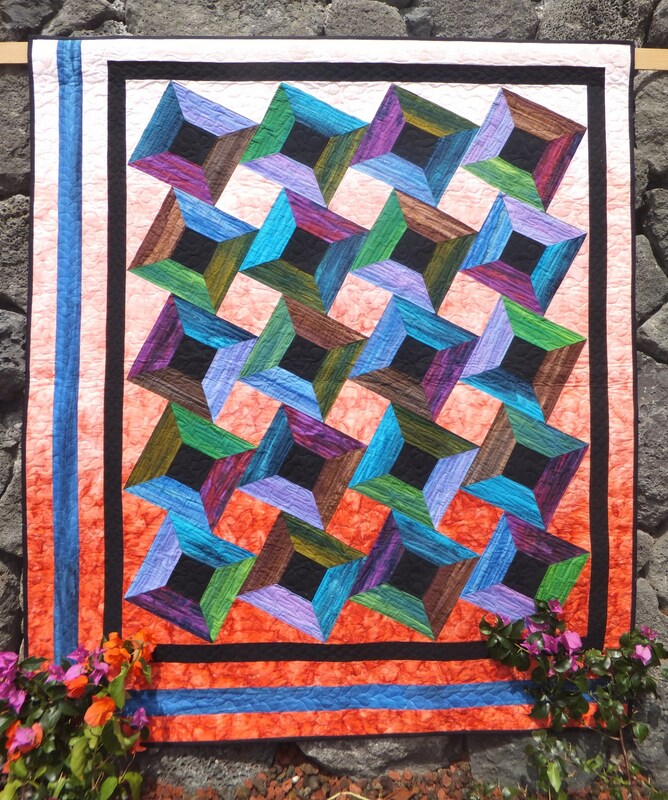 This quilt has a three dimensional effect because each pyramid has a light, medium and a dark side. 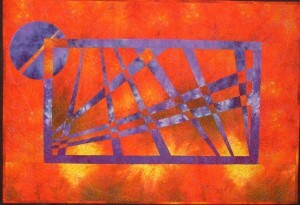 I used ‘striped’ fabrics and fabric that graduated in color. 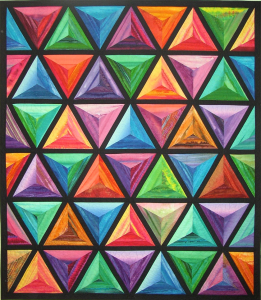 It is fun to coordinate 3 shades / tones to make up each pyramid. The ‘Y’ seam in the center is easy to do! 1. Make lots of pyramids – scatter them over your design wall until you are happy with their placement. 2. Sew the sashing strips on. 3. Sew the blocks into horizontal rows. Left over fabrics went into the super easy Party Time (#213) quilt. 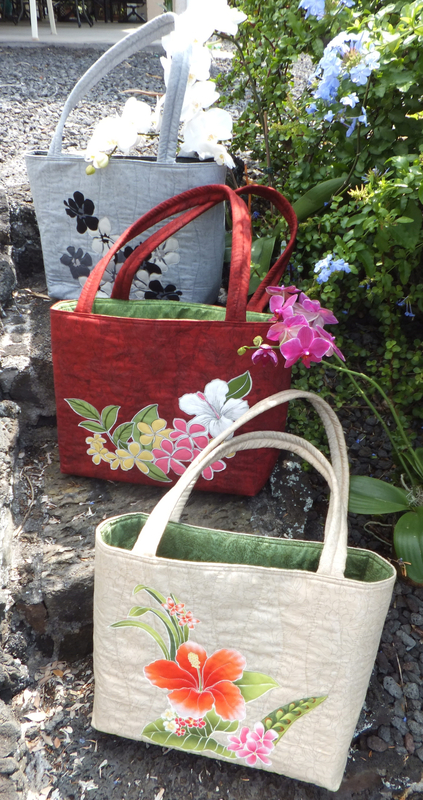 Made with gorgeous graduating fabrics! 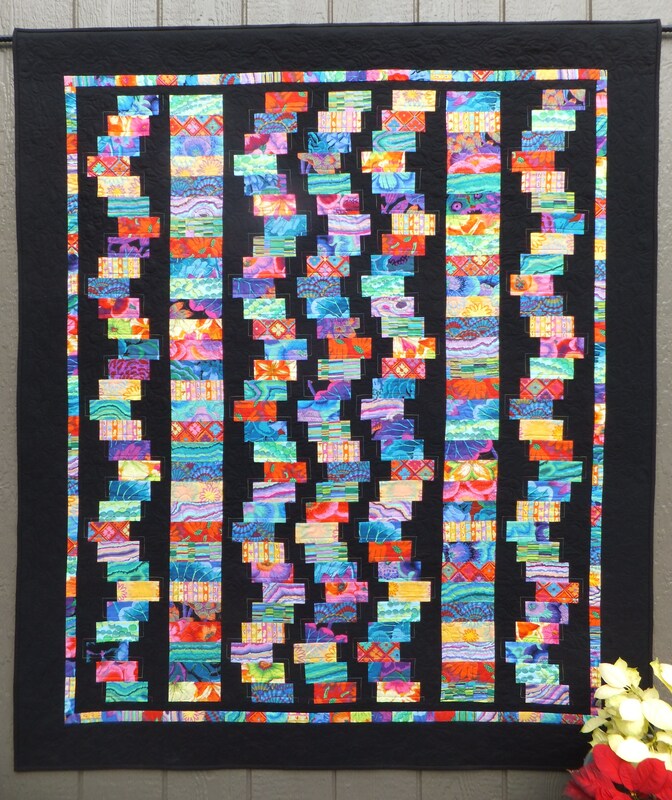 The 12 1/2″ blocks are so easy to make they become addictive! The blocks are set on point and look to be overlapping for an interesting and novel quilt. 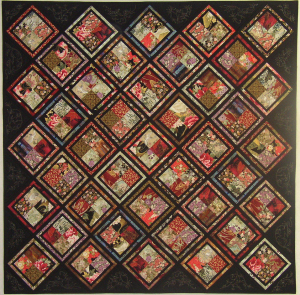 Each block is cut into four and re-assembled into rows so there are no ‘Y’ seams to sew. 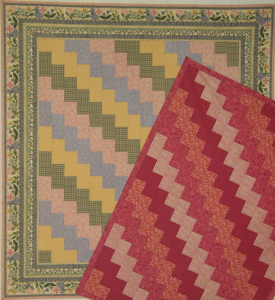 Suggested quilting patterns using the walking foot is included in the pattern. 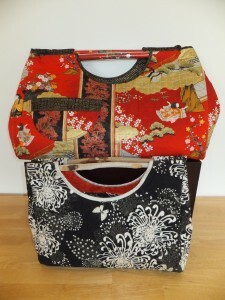 Choose two Asian fabrics from your stash and make one block and be hooked. So easy but so eye-catching! 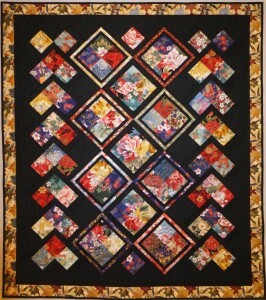 The black setting triangles around the perimeter of the quilt and the black corners have different free motion Asian quilting designs using the ‘no marking’ quilting paper technique to complete the Asian look of this quilt. 1 Choose two contrasting one yard fabric pieces. 2 Stack one on top of the other. Keep one and give the other away! 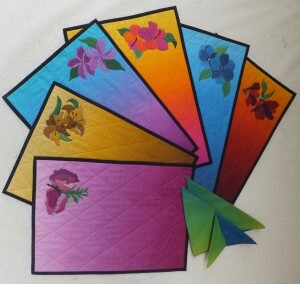 The blocks are made with graduating solid colored fabric. Example- from dark green to light green or the fabric goes from one color to another color. If you have a panel with blue, pink and green in it, simply chose graduating fabrics in those colors and you will have both darks and lights in blue, pink and green. You can use any center panel that you choose. 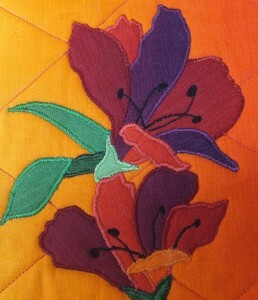 It can be abstract, floral, a landscape scene or even an appliqué center panel. 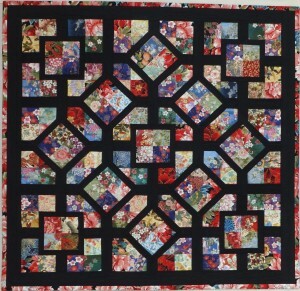 This quilt was designed to show off beautiful panels or large scale prints or even your own appliqued or pieced center. 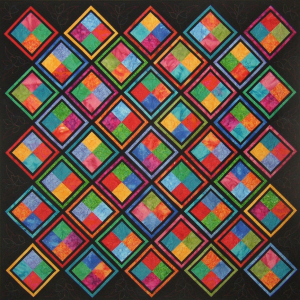 Two separate diamond blocks make up the quilt center, and they are so easy to make, and then set on point. The borders are strip pieced for easy assembly and the pattern for the four border cornerstones are included. 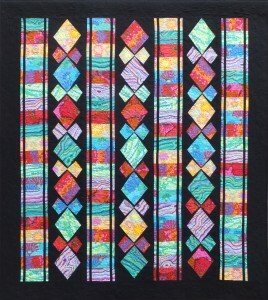 These cornerstones look great in lots of quilts! 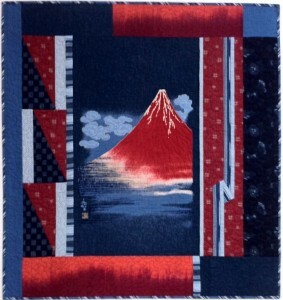 This quilt was designed to show off a beautiful panel. Simply choose three coordinating batiks to make the quieter surrounding blocks. 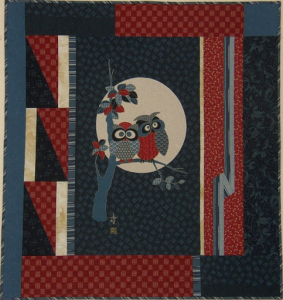 This quilt center panel is cut at 18 ½” x 30 1/2 “. 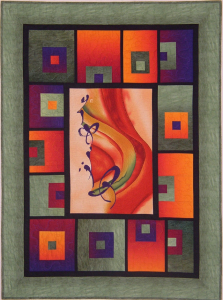 Choose your surrounding fabrics to coordinate to produce this asymmetrical quilt. 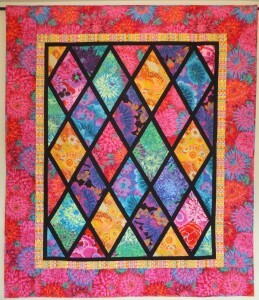 I designed this pattern after reading the book “Log Cabin with a Twist” by Barbara T Kaempfer. 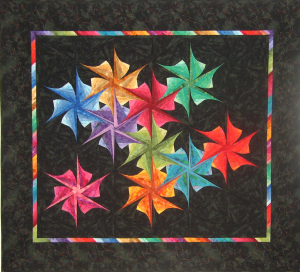 This dramatic quilt is paper pieced to produce ten different colored rotating rosettes and is surprisingly easy to produce. It is sewn in simple vertical rows with no “Y” seams or anything tricky, honestly. The fun begins when you select your fabrics and goes on as each rosette is sewn and reveals itself . 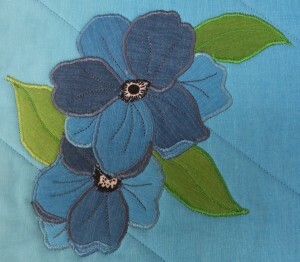 The quilting pattern in the outside border reflects the rosettes in the quilt and is included in the pattern. 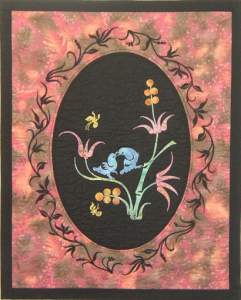 The cameo appliqué fabric I used for the following three cameo patterns (#107, #108, and #109) can be purchased here. It has a metallic sheen to it. One yard for each pattern is sufficient to have plenty of fabric color choice for $10.00 including shipping. 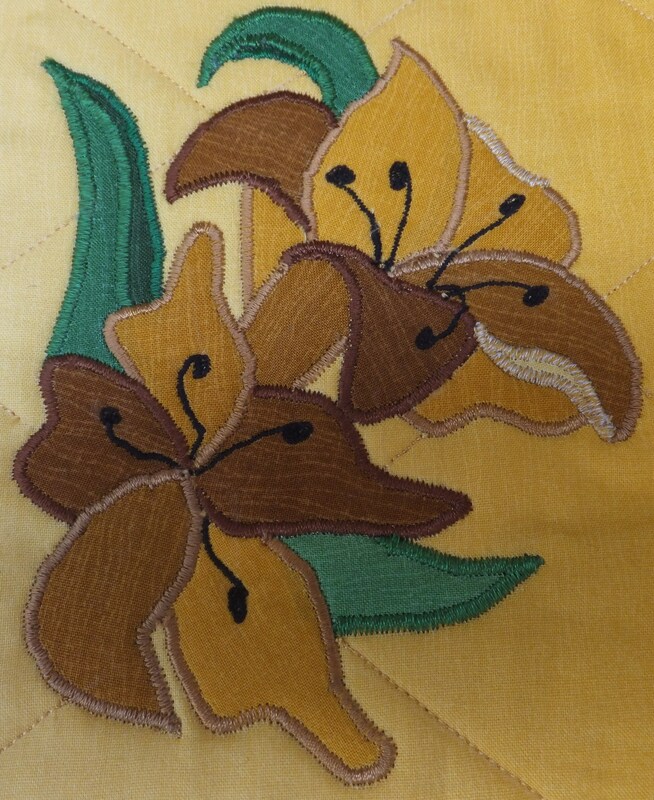 The appliqués are made with a light fusible web to be attached with either a straight machine stitch around their perimeters or a machine zig-zag or satin stitch, whichever is your preference. 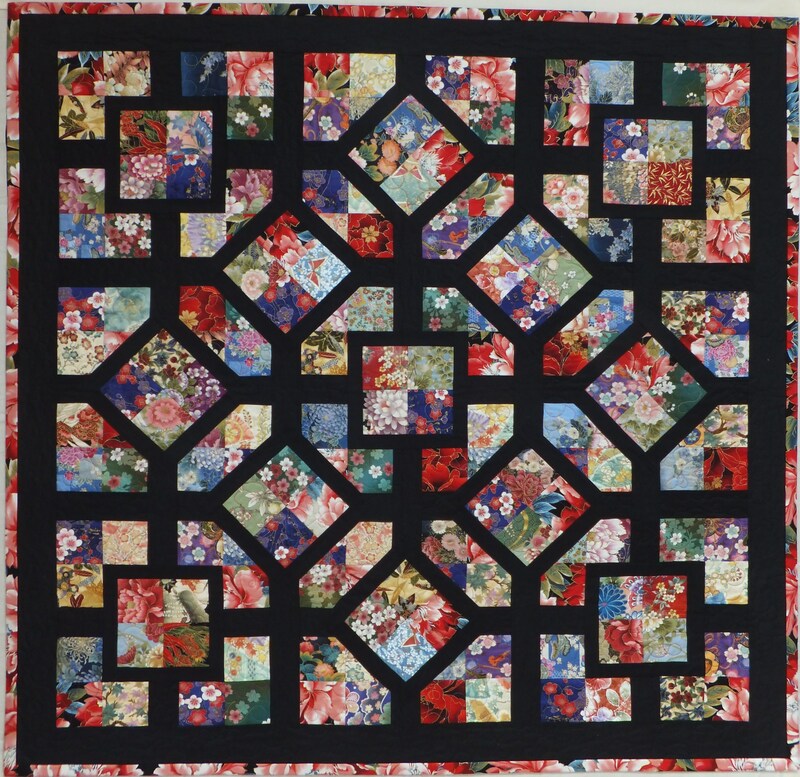 The black appliqués surrounding each cameo reflects the ‘cameo picture’ shapes to produce a pleasing and quite original quilt. 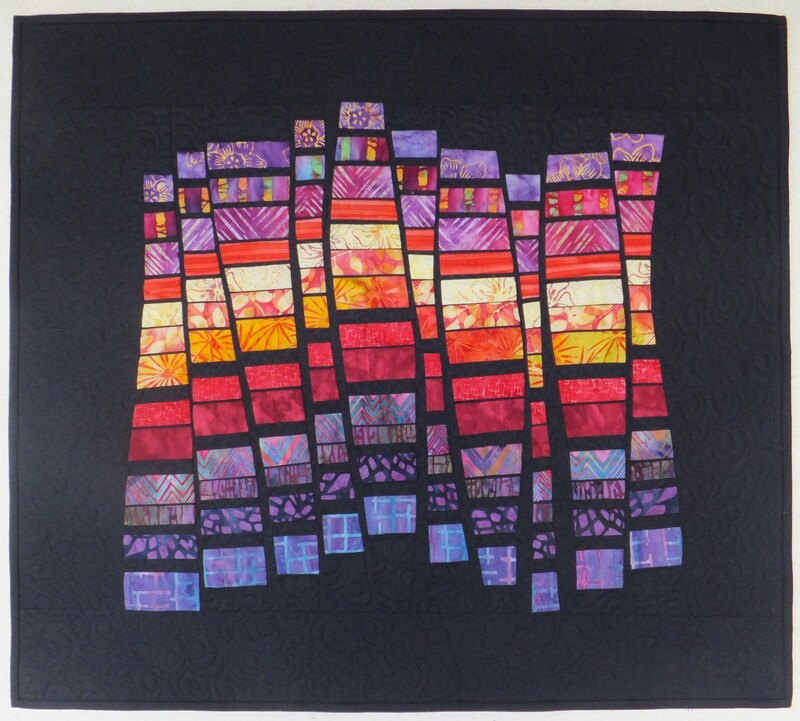 The 1” wide binding completes the quilts to resemble a picture frame. This pattern uses the easy fusible technique and machine applique with either straight stitch, zig-zag, or satin stitch around the perimeter. Your choice! 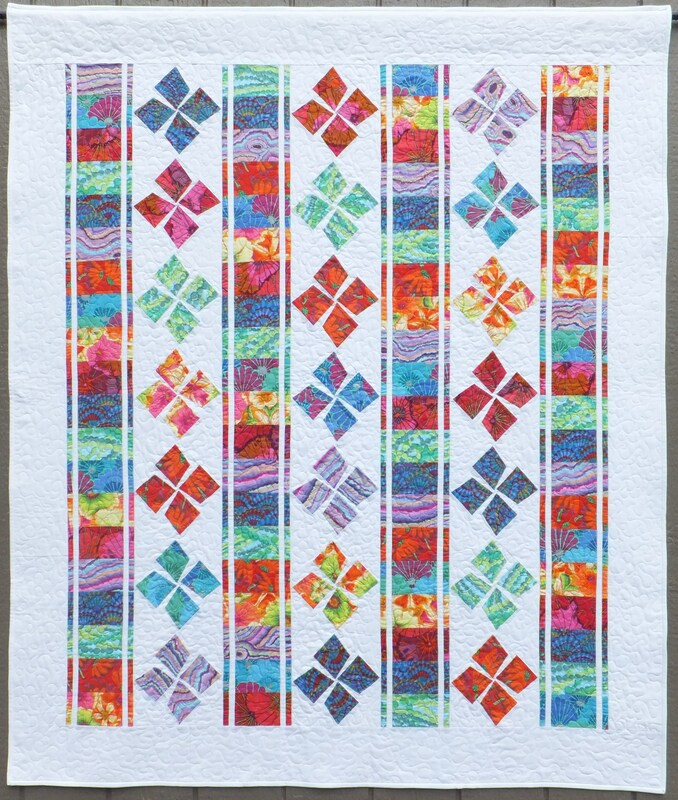 All the machine quilting patterns in the borders are included with easy step by step instructions on how to transfer them onto your quilt using the Golden threads Quilting Paper technique. 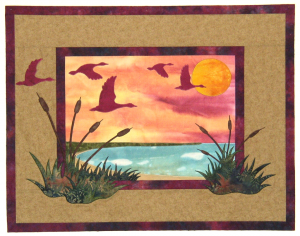 This pattern depicts a tranquil, evening, skyline scene. Learn to appliqué using the easy fusible technique and machine appliqué your design. 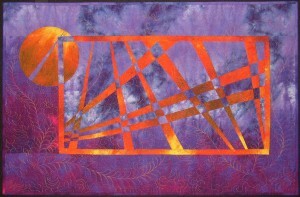 Choose your own background sky color to create your ‘quilt mood’ to create your own original, one of a kind, work of art. 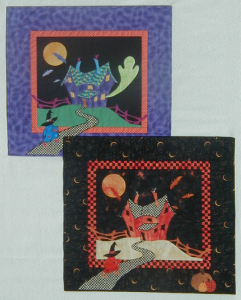 This is a Halloween machine appliqué wall hanging. A crooked witches house, full moon complete with ghosts, bats and pumpkins! 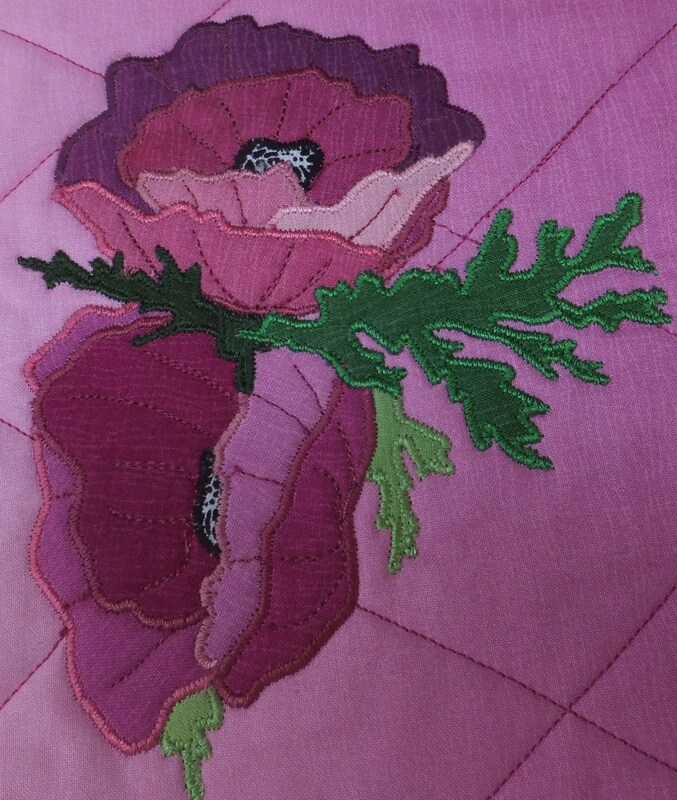 The appliqués are made with a light fusible web to be attached with either a straight machine stitch around their perimeter or a machine zigzag or satin stitch, whichever is your preference. Put as many bats, ghosts and pumpkins on as and where you wish! 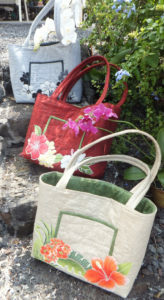 This sturdy flat bottomed large shoulder bag is ideal for the beach, shopping or as a quilting bag! Three different styles for you to choose from. 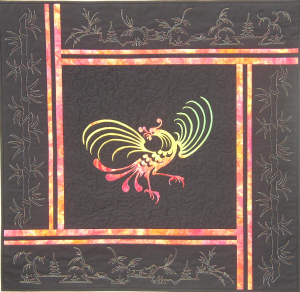 You could also use pre-quilted fabric if you wish to eliminate the quilting process. Piece, sandwich, and quilt your bag fabric, then simply cut out and sew together for this charming handbag. 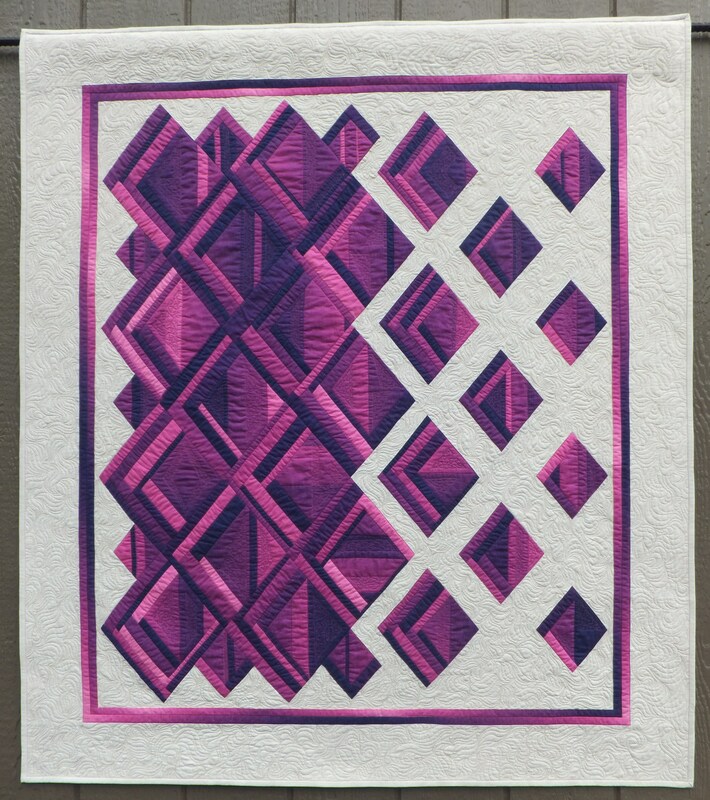 Addictive – small project to use leftover Batiks! 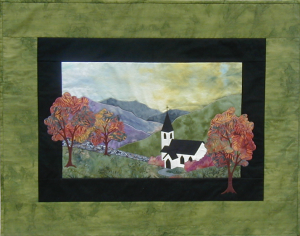 Never made a landscape quilt? 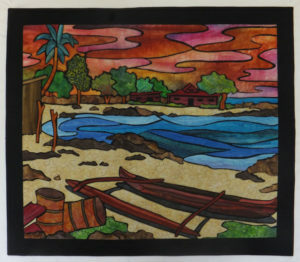 You will be amazed at how quickly you can create this landscape scene using the fusible web method. Learn to layer a multiple pieced appliqué easily by pre-assembling the fabric pieces into separate units on an applique sheet. A great office or den quilt for the man in your life!